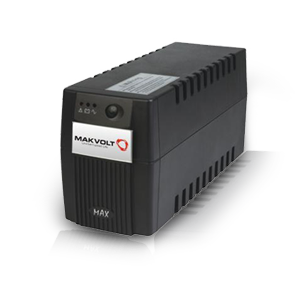 Makvolt’s line-interactive UPS offers protection for PCs, workstations and other sensitive electronics from blackouts, brownouts and surges. It prevents data loss and system downtime by providing battery-supported AC output during blackouts and is fitted with circuitry to filter out noise and spikes and provide Automatic Voltage Regulation (AVR) during brownouts and over voltages. Makvolt Power line interactive UPS available in 600-3000VA ratings are high performance UPS for network power protection. They are designed especially for IT applications such as network closets and small data centers. They provide reliable power protection for servers, critical nodes, network workstations, large network peripherals, network routers, bridges, hubs and other electronic equipment.